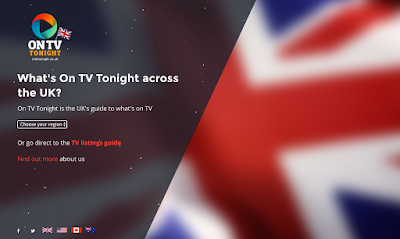 OnTVTonight UK builds on the success of eBroadcast’s Australian TV Guide, American TV Listings Guide and the Canadian TV Listings Guide, offering viewers across the United Kingdom an easy to use TV guide. OnTVTonight UK's UK TV Listings Guide displays every TV programme in every region of the United Kingdom, including schedules for broadcast, satellite and cable channels. An advanced UK TV search engine is also featured to allow UK viewers to instantly look up when a programme is broadcasting this week. OnTVTonight UK continues eBroadcast's mission to build exciting TV tools for a growing world market and to build upon our existing suite of entertainment services.